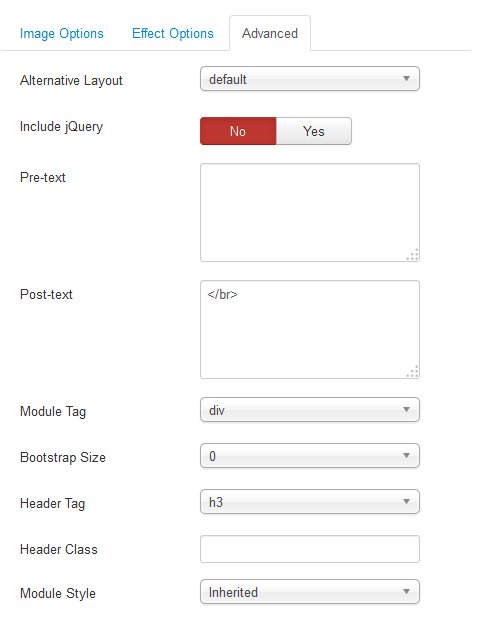 Module SJ Listing Tabs for VirtueMart can arrange your content according to the categories or the article fields such as: Name, ID, Price and Ordering. This guide will help you install SJ Listing Tabs for VirtueMart step by step. After installing, go to Extension -> Module Manager and find SJ Listing Tabs for VirtueMart to configure. 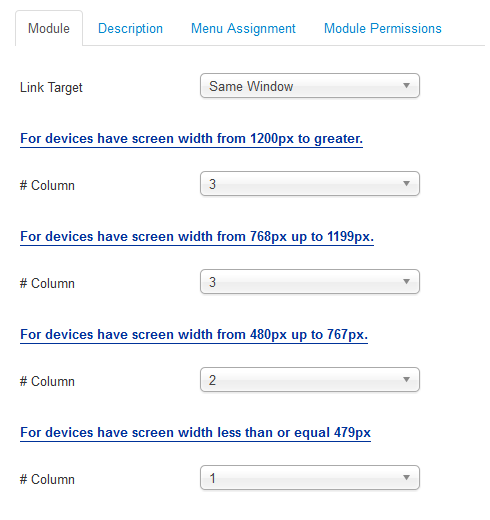 Category – Allow to select category which you want to show in this module. 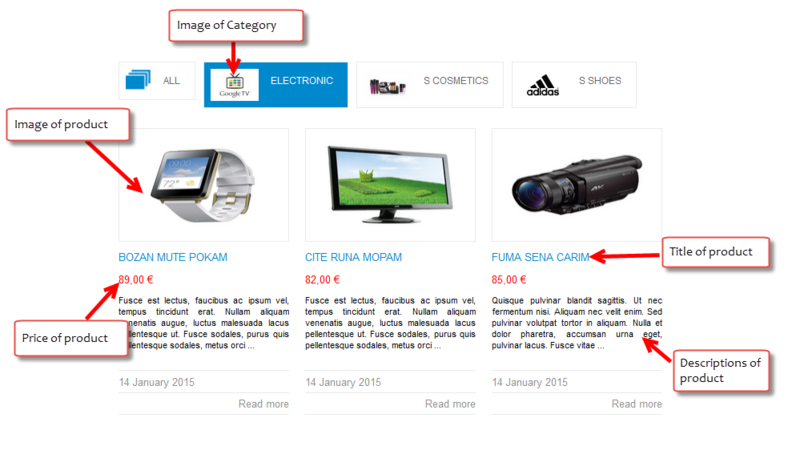 Featured Article – Allow to show/hide or show only featured product. Limitation – Allow to select the number of product to display. Product Order by – Allow to sort order by Name, ID, Price, ect. 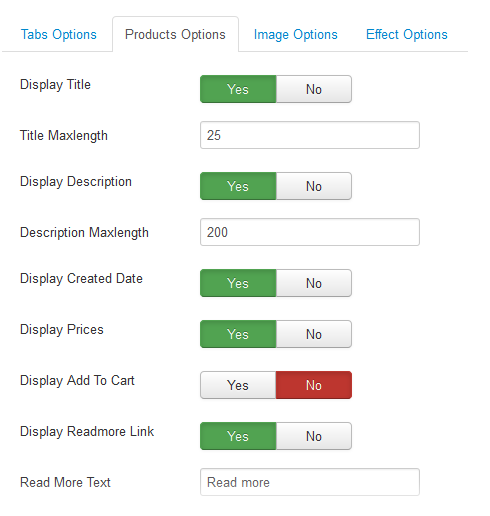 Product Field to show tabs – Allow to select product field which you want to show in this module. 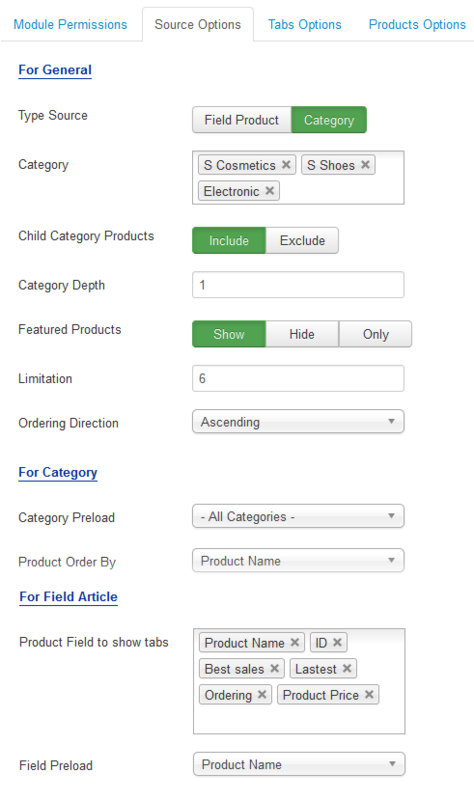 Category Direction – Allow to set categories order by direction ascending/descending. Category Image – Allow to show category icon in image params OR not. Title Maxlength – The maxlength of product’s title. Set “0” to show full title. Display Created Date – Allow to show/hide product’s created date OR not. Display Price – Allow to show/hide product’s price OR not. 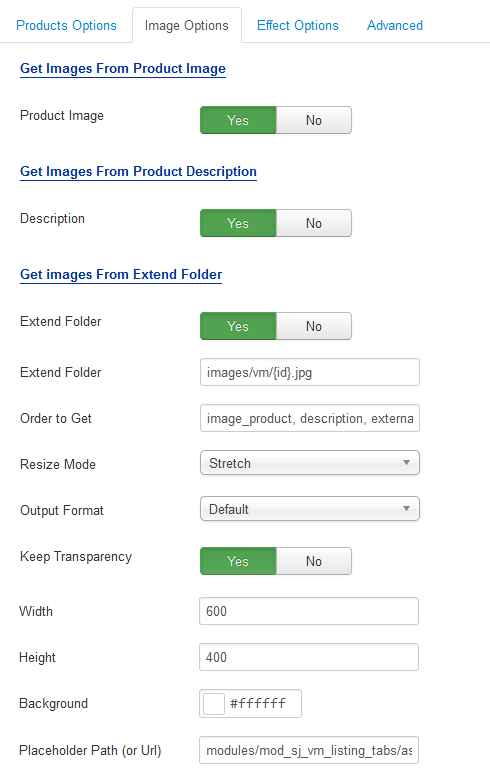 Product Image – Allow to show/hide image of product. Description – Allow to show/hide image of product.